Seven Ganoderma pseudoferreum strains were cultured on the medium of corn culture medium (CMA medium), PDA medium, PDA with carrot medium, 1/2 (MS + CMA) (comprised by half corn and half MS) medium. The results showed that 5 of the strains were grown best on the CMA culture medium, and 2 strains were in PDA with carrot medium. At the same time, the growth of the 3 strains on the 1/2 (MS + CMA) medium was the slowest, and the 2 strains grew slowly on the CMA medium, and 2 strains grew slowly on the PDA with carrot culture medium. The result indicated that although different strains of Ganoderma pseudoferreum demand were variable in nutrition, they also had some in common that all eight strains could be cultured in the PDA with carrot me-dium. 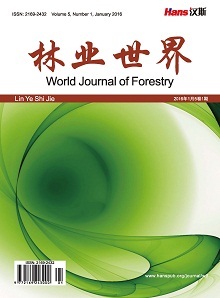 The results are helpful for further exploring the mechanism of Ganoderma pseudoferreum and disease control. 张箭. 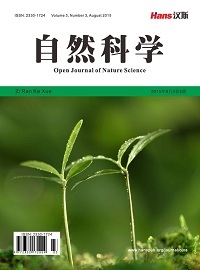 木薯发展史初论[J]. 中国农史, 2011, 30(2): 19-30. 张运强, 张辉强, 邓晓东. 橡胶树红根病病原菌的鉴定[J]. 热带作物学报, 1997(1): 16-23. 张运强, 谢艺贤, 张辉强. 橡胶树红根病病原菌的鉴定(II) [J]. 热带作物学报, 2000, 21(1): 20-24. 丁雄飞, 刘昌芬. 云南橡胶树灵芝分类研究[J]. 云南热作科技, 1995, 18(2): 14-19. 何康, 黄宗道. 热带北缘橡胶树栽培[M]. 广州: 广东科技出版社, 1987: 294-300. 张运强, 张辉强. 橡胶树红根病的蔓延速度及预测预报[J]. 热带作物学报, 1998, 19(1): 7-12. 张贺, 蒲金基, 张欣, 等. 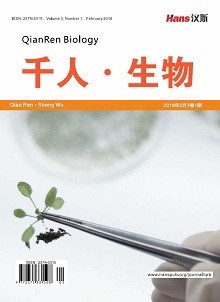 橡胶树红根病病原菌生物学培养特性[J]. 热带作物学报, 2008, 29(5): 632-635. 张运强, 张辉强, 邓晓东. 橡胶树红根病病原菌的鉴定[J]. 热带作物学报, 1997, 18(1): 16-23. 中共勐海县委调研组. 勐海县“三农”工作探究[J]. 中共云南省委党校学报, 2012, 13(4): 103-106. Chen, Q., Lu, F.P., Lu, H., et al. 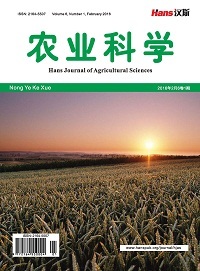 (2014) Cassava Pests in China. Proceedings of the Ninth Regional Workshop Helidin Nanning, Guangxi, China PR. CIAT-Asia Office, Cali, Columbia, 245-261. 涂敏, 蔡海滨, 皮彩霞, 等. 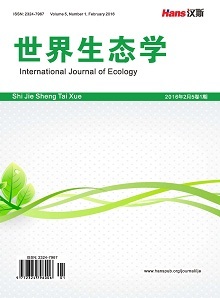 橡胶树红根病菌遗传多态性的RAPD分析[C]//中国植物病理学会2012年学术年会论文集. 2012: 584-589. 杨先锋, 徐正伟, 华玉伟, 等. 橡胶树红根病菌具有差异化的营养需求[J]. 热带农业科学, 2016, 26(4): 63-71.